Direct from Elcho Island, North East Arnhem Land, indigenous dance sensation Djuki Mala’s extraordinarily humble journey started twelve years ago when a video clip of the group dancing an exuberant interpretation of ‘Zorba the Greek’ went viral on You Tube. The video now has over 2.8 million views. 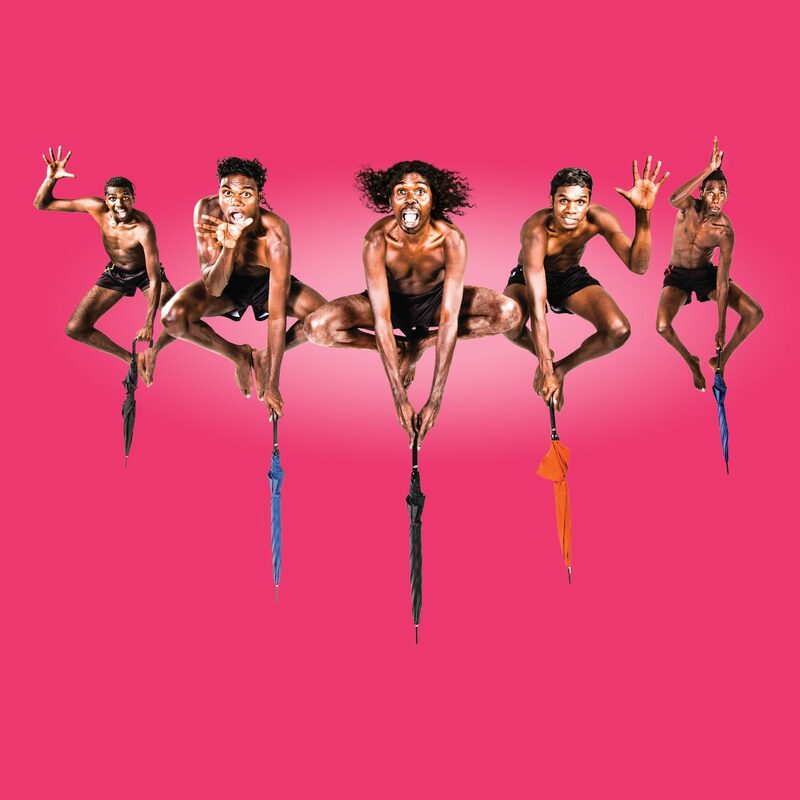 Djuki Mala’s highly energised dancers present their re-interpretations of pop culture, dance and storytelling, juxtaposing traditional dances with their contemporary Yolngu culture. Djuki Mala pay tribute to Motown, Bollywood, techno, hip-hop, breakdance and classic numbers, interspersed with multimedia. This retrospective show is a marvel of timing, comedy and clowning and offers a rare and insightful view into Aboriginal Australia. leaving the audience feeling genuinely happy. Djuki Mala have played 700+ live performances to over 500,000 people in 73 cities and towns, in 27 different countries across 11 years.